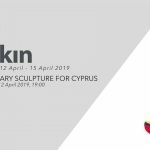 Arkin University of Creative Arts and Design (ARUCAD) will be a hosting a workshop led by artist/sculptor Seçkin Pirim titled ‘ONE to ALL’ between 15th-17th January 2019. The workshop will focus on creating new forms (patterns) by multiplication of one single image, experimenting the idea of going from one to all. Workshop is open to the members of the public and is limited to 10 participants. For more information and application please send e-mail to info@arucad.edu.tr or call (0392) 650 65 55. Turkish sculptor and artist was born in 1977 in Ankara. He graduated from the Painting Department at Mimar Sinan University in 1995. He continued his studies in the Sculpture Department of the same University and is currently working on his master′s degree. His pieces are made up of layers of paper and plexiglass as geometrical, minimalistic amorphous forms. His pieces are in negative-positive forms as they are cuts from many layers. An intersubstitutable dual language game lies within Seçkin Pirim’s work. His designs are the product of a visual and conceptual counteraction regarding the multiplication of the singular and the imaginary singularity of the plural also using technology not for only art but design too. Besides his many public art works, he has been represented by C24 Gallery in New York and have had exhibitions in London, Discipline Factory, Saatchi Gallery and Gallery Ambiente in Frankfurt and many galleries in Turkey who also won 12 awards.